On June 18, the Foundation began work on a new village in Pingtung county, on the southern tip of Taiwan, for members of the Lai Yi tribe whose homes were damaged to Typhoon Morakot in August 2009 and Typhoon Fanapi in September 2010. The new community will have 56 homes, of different sizes, that will be able to withstand strong winds and earthquakes. It is due for completion by the end of October this year. A ground-breaking ceremony began at 10:50 am. Attending the historic moment were Tsao Chi-hung, governor of Pingtung County, Chen Chen-chuan, the director of the Reconstruction Council of the County, Lin Pi-yu, Vice President of the Tzu Chi Foundation, residents of Laiyi village and Tzu Chi volunteers. The ceremony began with Lai Yi villagers and Tzu Chi volunteers walking hand to hand to the site. The villagers performed their aboriginal dance, the volunteers sang the song of the Spirit of Great Love with sign language. Dharma Master Fa Ming read a letter of blessing from Dharma Master Cheng Yen: she said that, when people in one place are suffering, other people in the world come to help them. "I am very grateful to everyone for their contributions and for accompanying the survivors in their sorrow and difficulties. 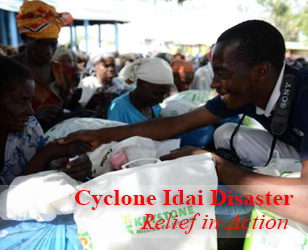 We pray that the villagers can rebuild their home soon, find peace in mind and body and acquire happiness," she said. Governor Tsao that, when the residents of Pingtung county needed houses to live in, Tzu Chi helped them immediately. "It brings us harmony and improves our society. We give thanks for the love of Tzu Chi." Lin Pi-yu said that a project of love was about to begin. "No matter whether they are Christian or Buddhist, we all care about the residents of Lai Yi township," she said. 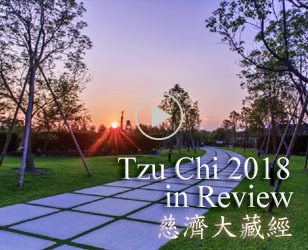 "Tzu Chi designed the houses so that the rooms always be kept in comfortable temperature during different seasons. It will give them a cozy environment. The government of Pingtung county and Laiyi county can see the Great Love community in Shanlin township as an example of how residents built their own culture and living, this can help Lai Yi residents to build a bright future." Huang Mei-niang and the family of her daughter will be residents of the new community. She said: "My house on the mountain is not fit for living and not safe at all. 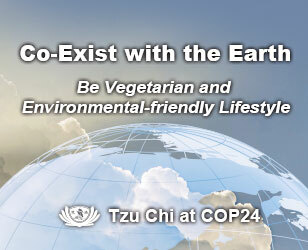 I am very happy that Tzu Chi is willing to build a house for us. My family is so looking forward to move into our new house." The new village will have 56 permanent houses. The foundation designed them with two main elements in mind -- a safe structure and strong resistance to wind and earthquakes. The houses will be built in three different sizes -- 36, 32 and 14 ping (approximately 1,300, 1,100, and 500 square feet). The spaces are designed for families of six to ten, three to five and one to two people. The large and middle-size houses have two stories, including four bedrooms, one dining room, one living room, two bathrooms and one kitchen. One of the bedrooms is located on the first floor for elderly members of the family. The small-size house has two bedrooms, one living room, one dining room, one bathroom and a kitchen. The construction is due to be finished by the end of October this year and will provide a safe and comfortable environment for the survivors of Typhoon Morakot.